Today I want to share with you my thoughts about new products I've tried and absolutely fell in love with. I'm talking about REVERIE, a new natural hair care brand to the UK, which is available now on www.cultbeauty.co.uk. About REVERIE. 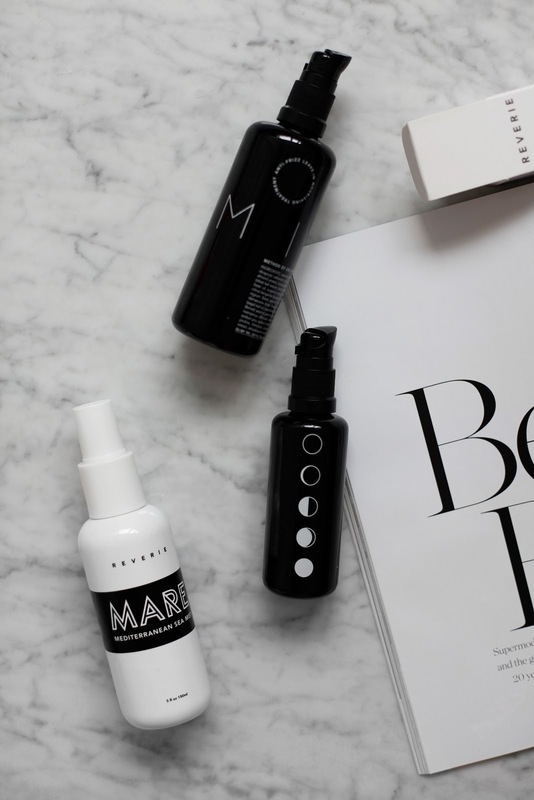 Owned and managed by hair stylist Garrett Markenson and carefully crafted in California using the finest botanical ingredients sustainable sourced from around the world, REVERIE is committed to responsibly sourcing high quality ingredients that are natural, ethical and innovative. The whole reverie line has a lovely, woody, spicy fragrance to it that leans traditionally masculine, but I really like it. And this gorgeous bottles..
All REVERIE products are always formulated without: Sodium Lauryl Sulphate, Silicones, Phthalates, Parabens, Glycols, Petrochemicals, Artificial Fragrance, Dyes, Animal Derivatives, T.E.A, D.E.A. All REVERIE products are vegan, Leaping Bunny certified cruelty-free, and gluten free. 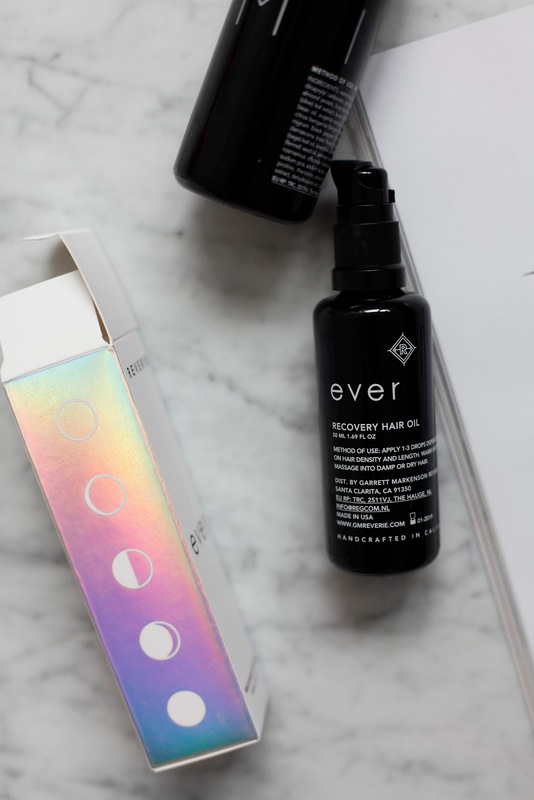 EVER Recovery Oil (£50) This is a really powerful stuff. It contains a luxurious Marula oil which repairs damaged hair, reduces spilt ends and enhances shine. I highly recommend to use it as an overnight treatment or just a tiny drop to your hair, focusing on the ends. This is the most amazing anti-frizz treatment I've tried! The formula is lightweight and the smell is magical: a fresh, herbal scent. One to two pumps is enough for a full head of hair, you can put it in damp hair and air dry without getting any frizzes or put some in clean hair for a little smoothing! This product helps with breakage, it keeps my hair moisturized and healthy. Super-charged with a rich blend of 16 essential oils, but not greasy at all. 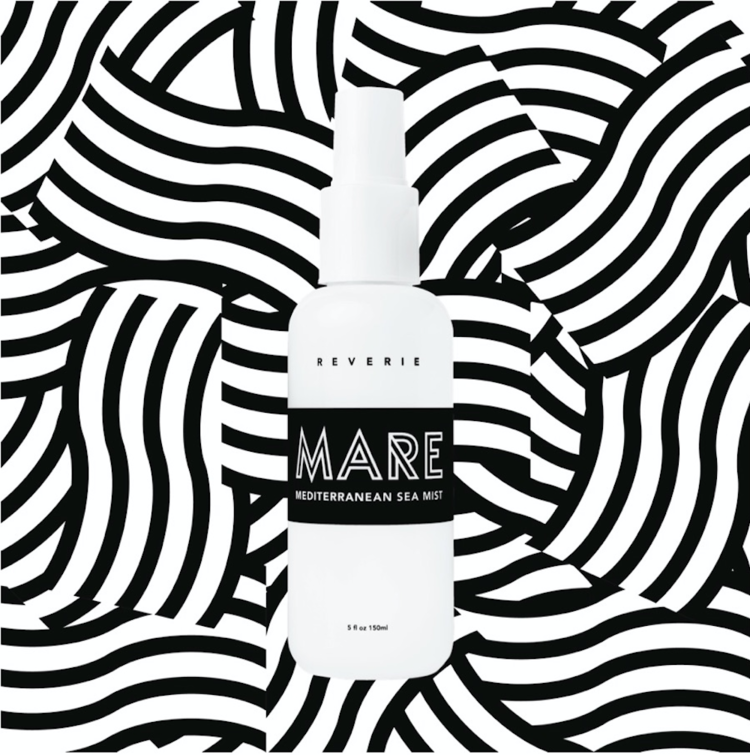 MARE Mediterranean Sea Mist (£35) is one of the best sea mist on the market. It contains Rice Seed Extract which adds volume, strengthens and helps prevent damage; Algae Extract hydrates, provides vital minerals, enhances shine and protects from environmental damage; Mediterranean Sea Salt amplifies natural texture without drying out the hair. My hair is very straight but this mist really gives my hair the texture! I just shake it before application and apply to damp hair. You can focus on your roots to add some volume or the length to create this beautiful beach texture. All products available on www.cultbeauty.co.uk. and there is a free shipping on hair care available till 26/05/17. Have you tried anything from REVERIE? Let me know!